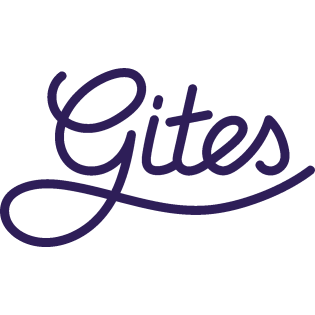 Gites is a marketing platform and is owned by GITES.BV, Rotterdam, The Netherlands. Gites does not play the role of an intermediary and we do not intervene in contacts between owners and renters. Gites undertakes to promote its marketing platform and to assist its clients (advertisers) as well as visitors to the site, so that all may use it easily and efficiently. The houses presented on the site are real houses, i.e. it is not possible to advertise a mobile home, caravan or furnished tent on Gites. We reserve the right to refuse an advertisement which does not correspond to the correct criteria. One object only may be presented on an advertisement page (a gîte, a Chambre d'Hôtes establishment or a property for sale). The success of Gites depends directly on the level of satisfaction of the internet surfer. Your contribution to this is significant by ensuring that the information you put on-line is correct and accurately reflects your property. You can also increase visitor satisfaction with the site by regularly updating your availability calendar and responding swiftly to any enquiries you may receive. Gites is in the progress of updating and improving the platform: regular alterations will be brought in by us to this end. Gites uses an annual subscription system. You are invoiced once a year for the total amount of your subscription. Unless we hear from you to the contrary, your subscription will be automatically renewed. You can cancel your subscription by informing us to that effect by email before the renewal date. A subscription allows you to put on an advertisement for a place to rent or to sell. Gites reserves the right to end a subscription if it is not being used in the way which the general terms and conditions have laid down. Gites BV sends invoices to our advertisers by email. These must be settled within 21 days of the date they were sent. In the event that payment has not been received by this date, reminders are sent by email. When an invoice is 80 days or more overdue, Gites BV will employ the services of a debt recovery agency. Gites BV works with several different debt recovery agencies throughout Europe. The costs of calling in these agencies will be charged to the advertiser. Gites accepts no responsibility concerning corrections to your advertisement text. You should describe your property as accurately and objectively as possible. To publish inaccurate or incomplete information which misleads the visitor to the site as to the quality of the property is being liable for prosecution under French law. Gites reserves the right to modify a text or to de-activate an advertisement if its content appears to be inaccurate or misleading. Advertisers are obliged to present their properties in an honest, complete and accurate fashion and to update their texts when necessary to reflect this. The quality of the text influences the success of the site as well as the effectiveness of the adverts. This is why we ask advertisers to take particular care in creating their text as well as in choosing which photos to place with it. Advertisers are obliged to respect the existing format on the advertising pages and to limit themselves to describing only things related to their rental property or the sale of their house. An advertising page is can be used to describe one property only, either for sale or rent. You can mention the presence of other properties in the section “Further Remarks” but only if you are the owner. References inviting visitors to visit other, competing, websites are not permitted. Gites takes no responsibility for the content of your page nor can we be responsible for the success of your individual advertisement: our responsibility is limited to the success of the site in its entirety. The use of the availability calendar on our website is not optional. If your calendar is not up to date, your gîte will appear at the end of the list, which diminishes your chances of successfully renting it out. Around 75% of visitors to Gites search by availability. If you don't keep your availability calendar up to date, you also have a negative effect on the overall image visitors to the site may have. Last Minute offers can be advertised by using the module created for this purpose. They can be put on-line a maximum of 3 weeks before the start date of the offer. They should always offer a reduced rental price. Travel Companies usually work using three seasons: low, mid and high season. Gites does not set down the exact dates of these seasons for you, but we suggest you use the following logic: School holiday time logically falls into high season. The weeks either side of this, particularly in summer, are usually counted as mid-season and all other periods low season. Seasonal periods also depend on other criteria like the region where your gîte is located, or the number of people it can accommodate. We strongly advise you to indicate the precise dates corresponding to each season in the box “Further Remarks”. Prices should be indicated per week for a gîte and per night for a Chambre d'Hôtes (bed & breakfast), the latter should include breakfast. Properties for sale should carry a price which matches the price of the item for sale. In the event where this price structure is not followed, the advertiser must indicate this clearly in the advertisement text. You can place a link on your advertisement page towards your own website. For obvious reasons it is not permitted to place a link towards a website which is a competitor to Gites. We are happy for you to place a link from your website to Gites, for technical help on this please contact us. • The advertisement pages on our website are restricted to describing one property for sale or rent. You cannot use one page to advertise several properties. If you have more than one gîte to rent or property to sell, we strongly recommend that you take out a subscription for each one for the following reasons: With several advertisement pages, you increase your visibility and thus the efficiency of your adverts. • By describing several properties on the same page, you confuse visitors who are used to finding a straightforward presentation of one property. • By describing several properties on the same page, you have a negative effect on the overall image visitors to the site may have. • Five photos are directly visible on your advertising page. You can upload the photos yourself; however they are then passed by us before being put on line. This takes a maximum of 48 hours. The first photo must present your gîte seen from outside in its surroundings. This is the photo that will be visible on the initial list of advertisements that appears when someone is doing an Internet search by various criteria. • Visitors to your page can also access a “photo album” : when you have uploaded your 5 main photos, you can then place as many photos as you like in the photo book. Gites reserves the right to delete any photo it considers in adequate or inappropriate. The text on our site is copyrighted as is the personal text that you write. If you use any text or other items taken from our site or any other site, you must indicate the source. Gites does not play the role of intermediary. For this reason we cannot intervene in disputes between owners and renters. However, when a renter sends us a complaint, we take the following steps: We send the complaint on to the owner concerned, asking him or her to return a comment to us. If a serious complaint is justified, Gites can insist on a change being made or can remove the advertisement from the website. The prices indicated on our website are excluding TVA. When using Internet, there are general rules to observe: to write in capital letters for example, indicates that you are SHOUTING! Please therefore respect standard rules of courtesy in your advertisement.